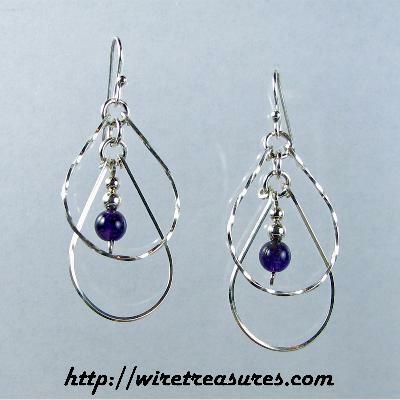 These pretty earrings have a large loop of Sterling Silver wire with an "echo" loop below it, with 6mm Amethyst beads and two smaller Sterling beads. Listen... can you hear the scho? These earrings are about 1-1/2 inch long. You are visitor number 1,523 to this page.